Spring has come, and you didn’t even notice that? Perhaps, that’s because the interior of your house is still dominated by winter spirits. It’s no problem to make things right. For a start stash your knit pillows, fur covers and wool blankets deep in your closet. 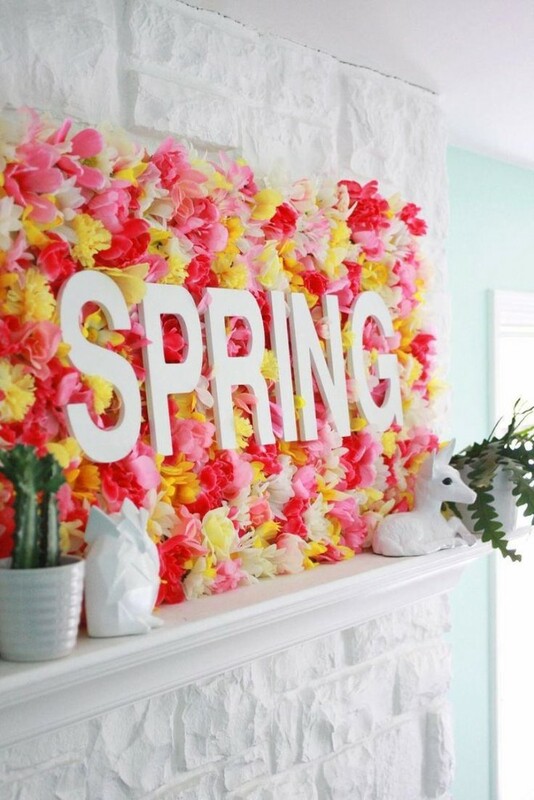 And then get down to decorating your home with flowers and other attributes of spring-time décor. 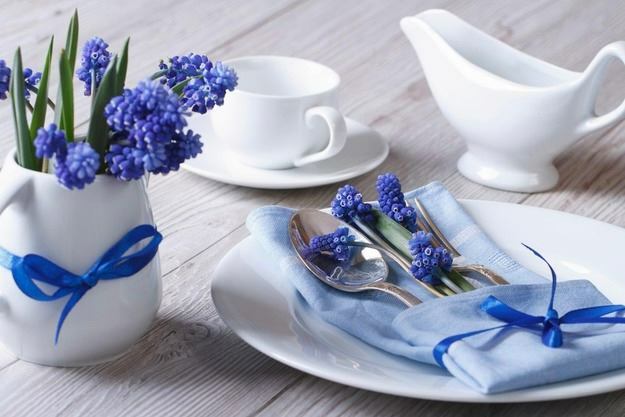 And for those of you, whose creativity and imagination are still not awake from winter hibernation we prepared a special collection of seasonal decoration ideas that will refresh your interior. 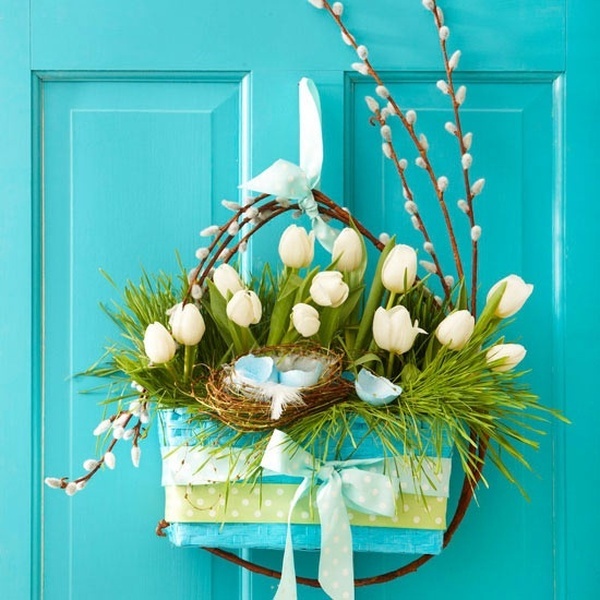 Charming seasonal bouquets are the easiest way to create the spring mood. And to extend the pleasure of contemplation you’d better choose bulb-grown potted flowers, rather than cut ones. 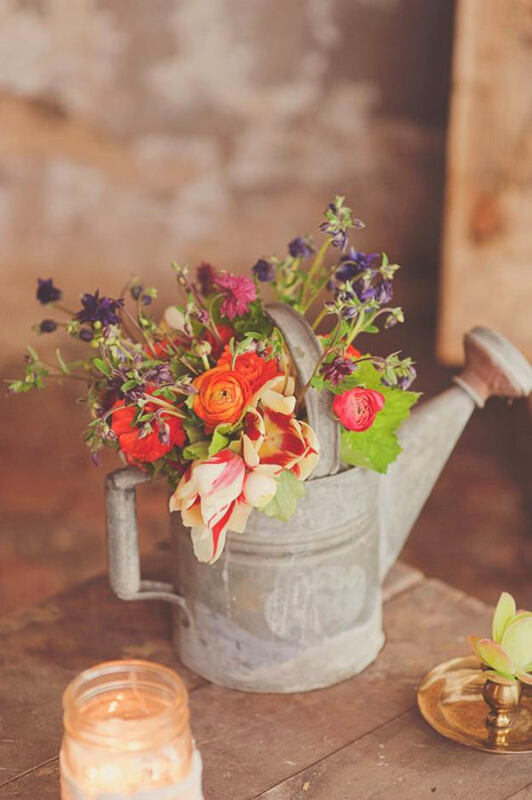 Vintage items, such as an old watering can or a fruit box used as a flower vase will add some spring-time feel and trendy rustic idyll. 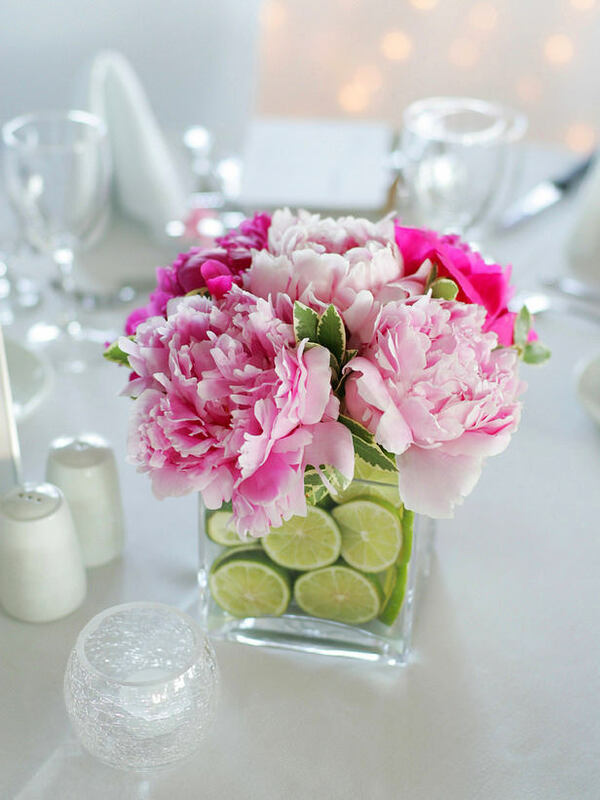 Flower compositions can dress up most unexpected items. 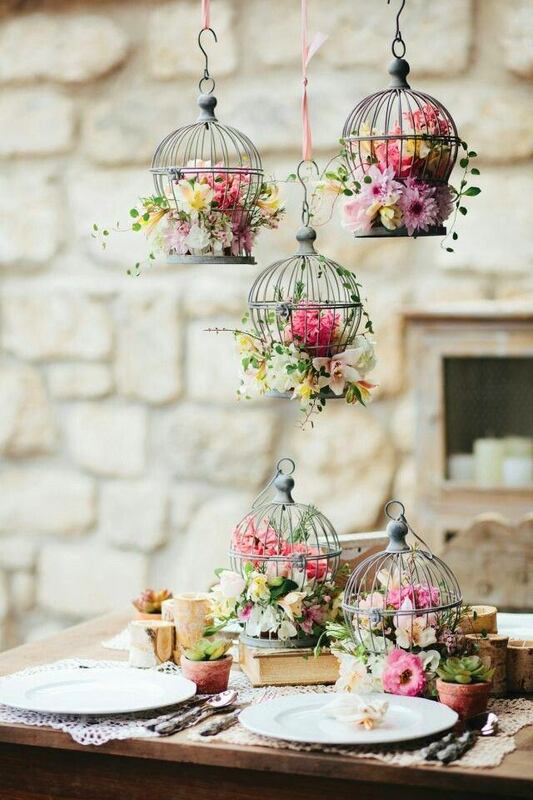 For instance, flowers put in a cage can be used for decorating furniture, windowsills, table settings or as decorative suspensions. 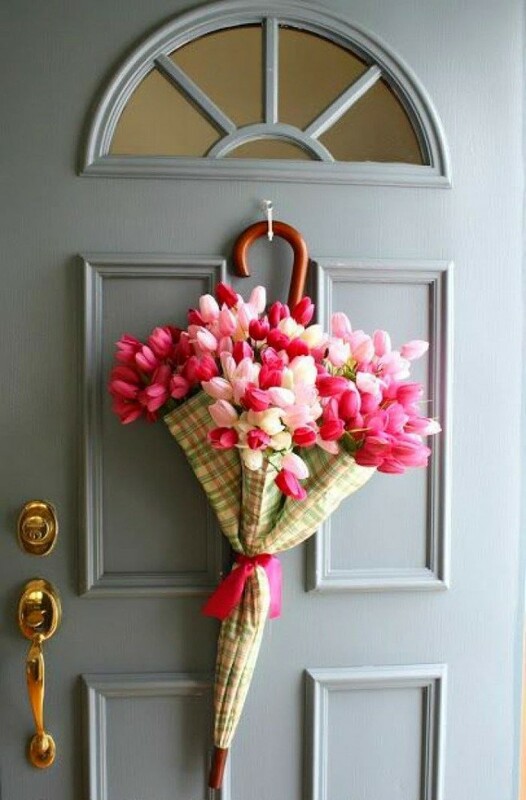 Even an umbrella can be transformed into a flower basket – a nice option of door décor. 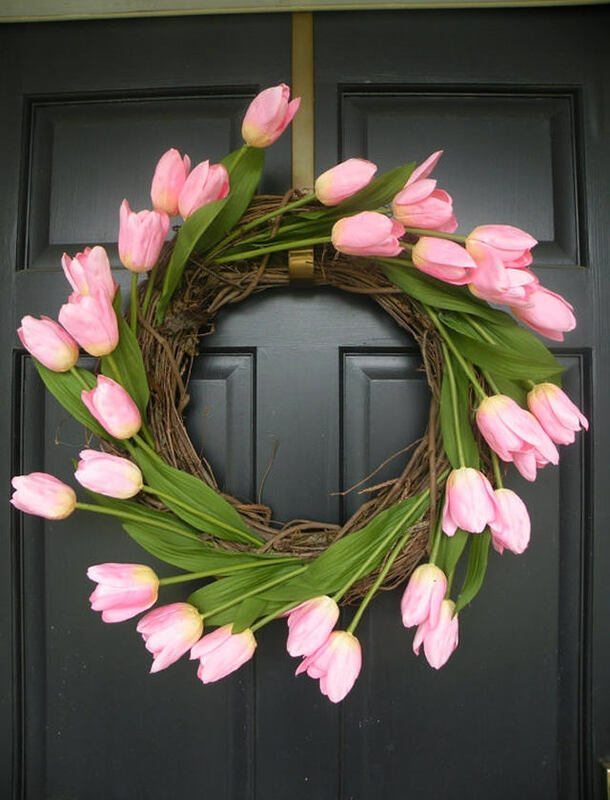 One more classical decoration of entrance and interior doors is a wreath. In spring time it must be composed of flowers, of course. 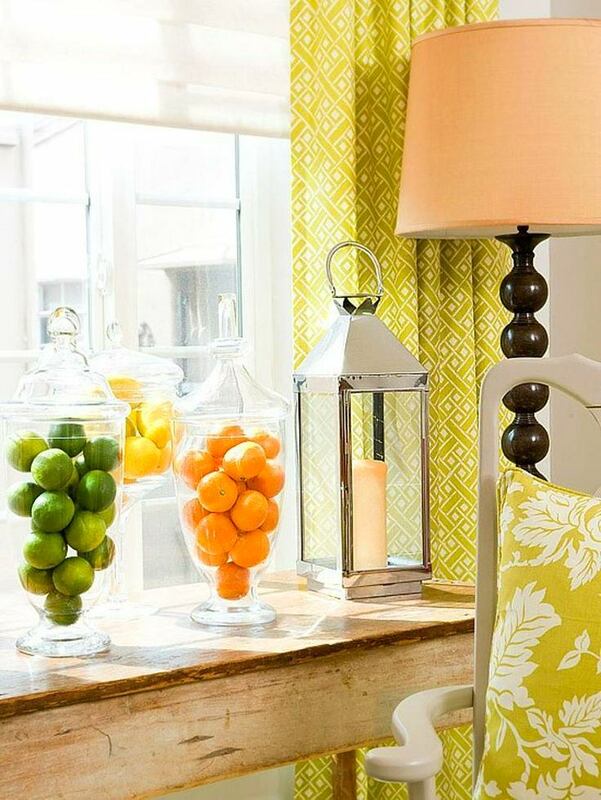 Especially original and bright are decorative compositions of flowers and fruits. Those who strive to brighten up the interior, but are not willing to take care about demanding plants can fill vases with just fruits. 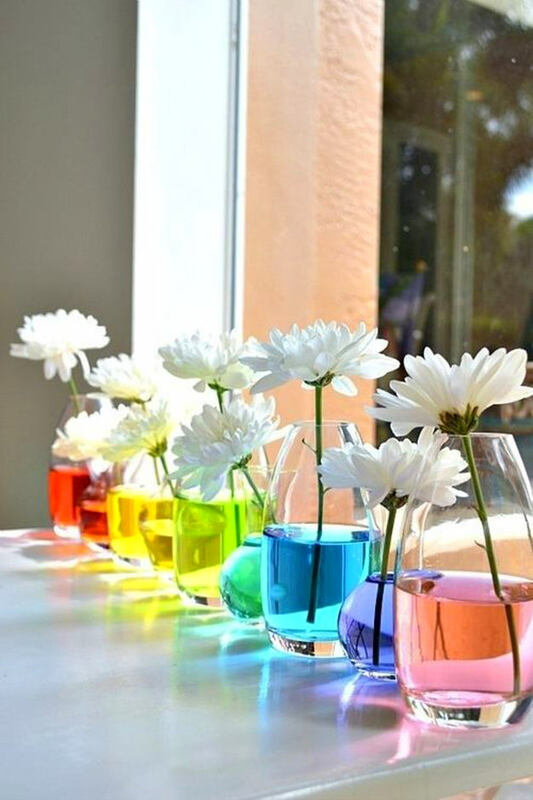 White flowers can also add a bright splash inside our homes when put in transparent containers filled with colored water. 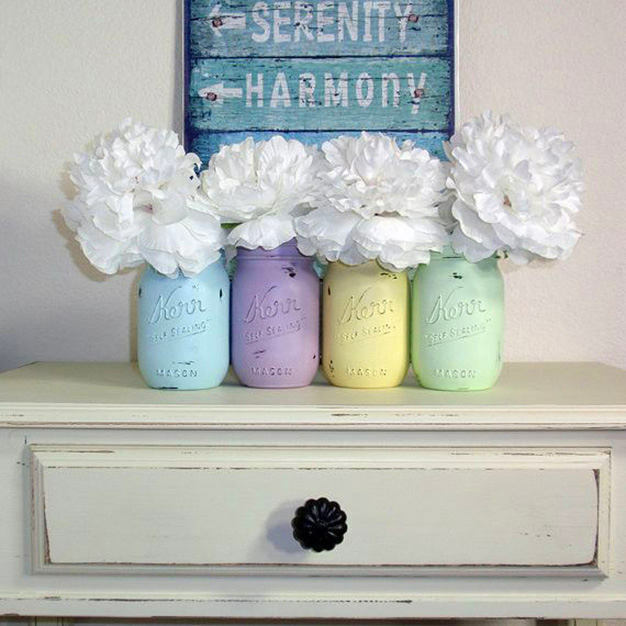 White flowers in painted multicolored jars look just as fine. 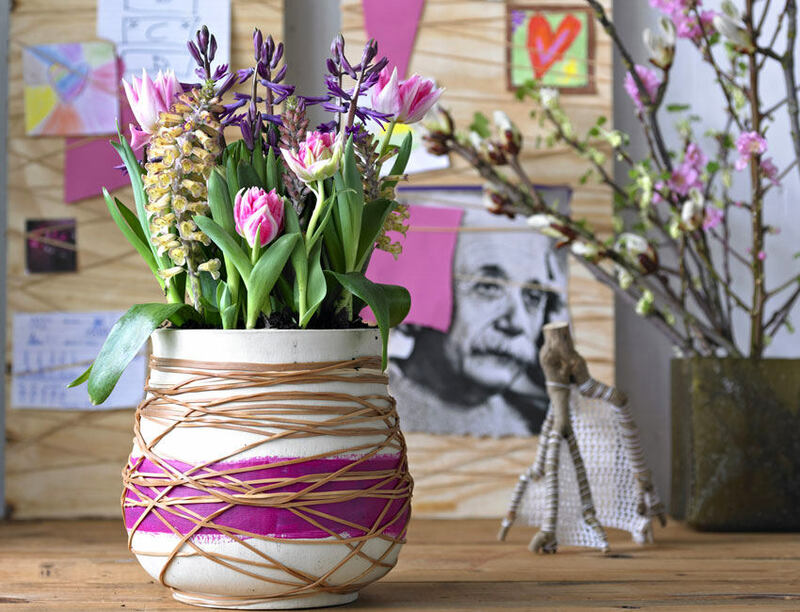 Common jars are on the whole universal flower vases – the key point is to decorate them nicely. 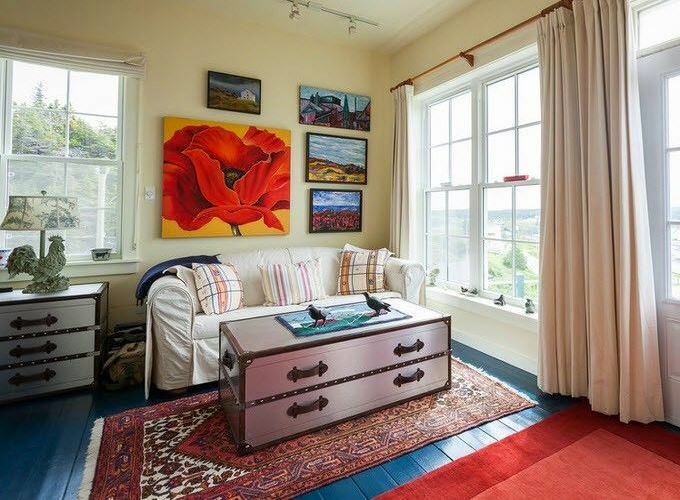 A wall or a mantelpiece in the lounge can be dressed up with a bright flower composition. Artificial flowers are the best choice if you want to enjoy it longer. 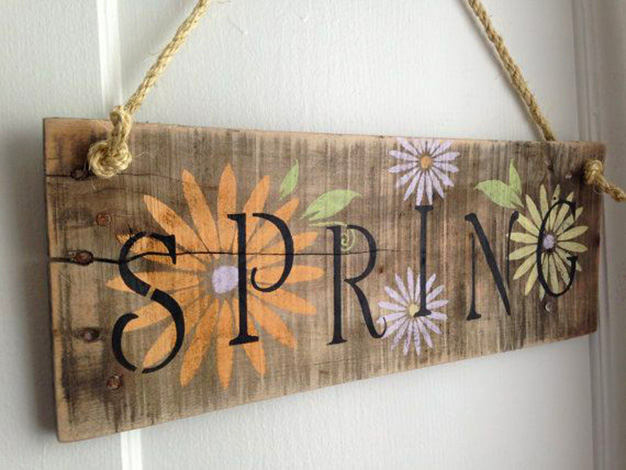 And flowers painted on a thematic wood sign look very spring-time and don’t need any care. 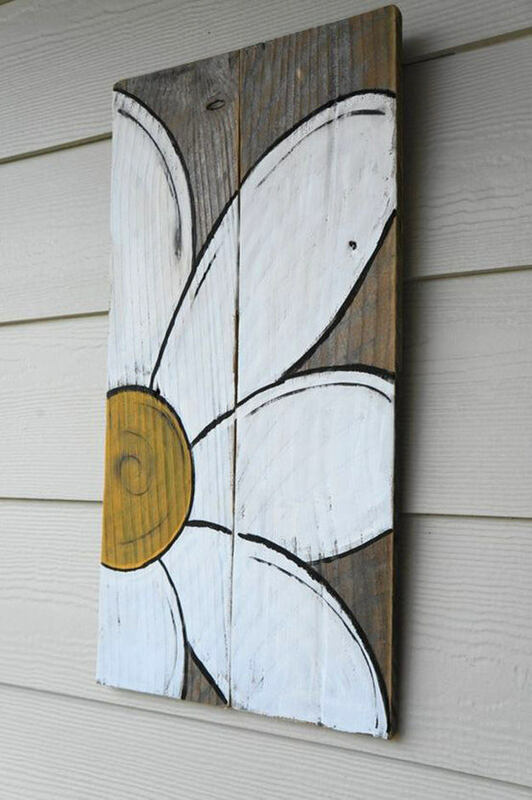 Use a common wooden board as a canvas – even a kid can draw such a chamomile that will become an exclusive piece of décor in spring style. 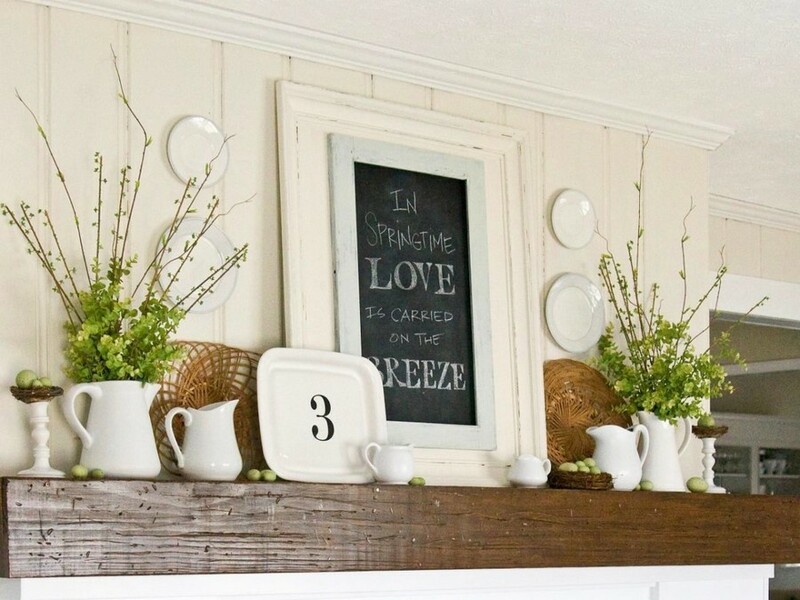 In a word, any picture or photo featuring flowers looks fresh and spring-time. 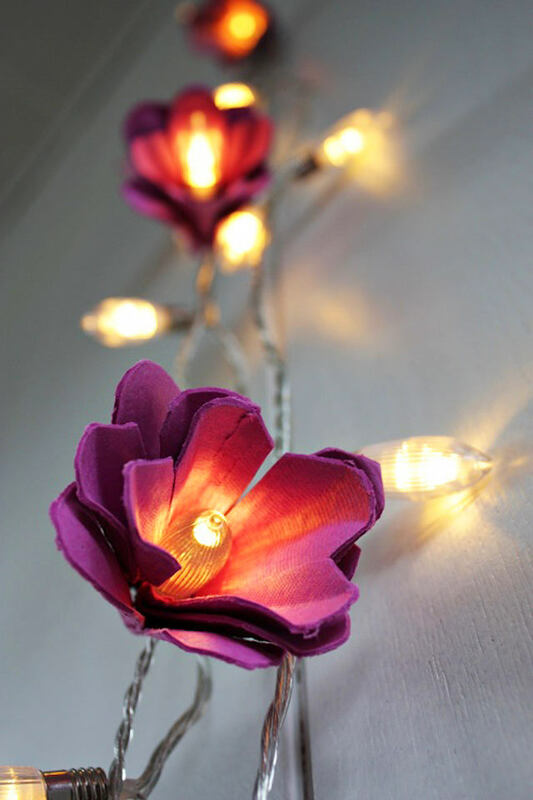 In the right hands even Christmas lights can form a piece of spring décor. 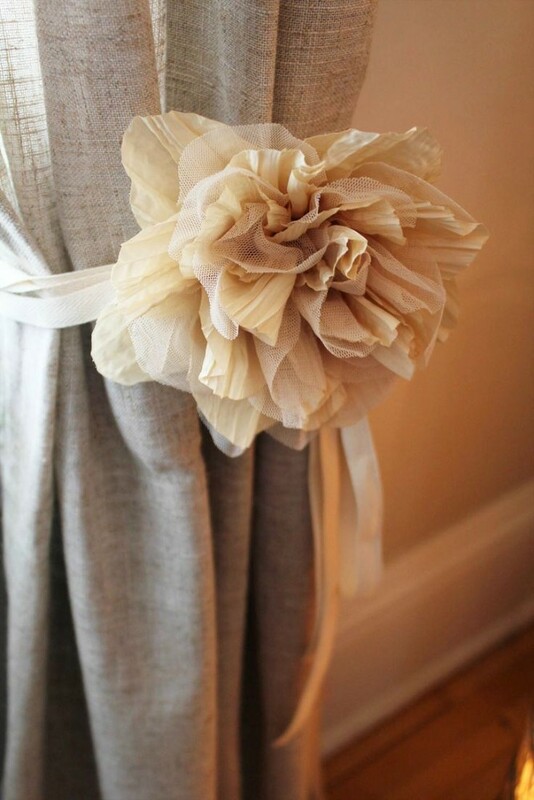 Artificial flowers made of high-quality fabric look as fine as living ones. Besides, their sphere of application is very broad. How do you like such an idea of a curtain tieback? 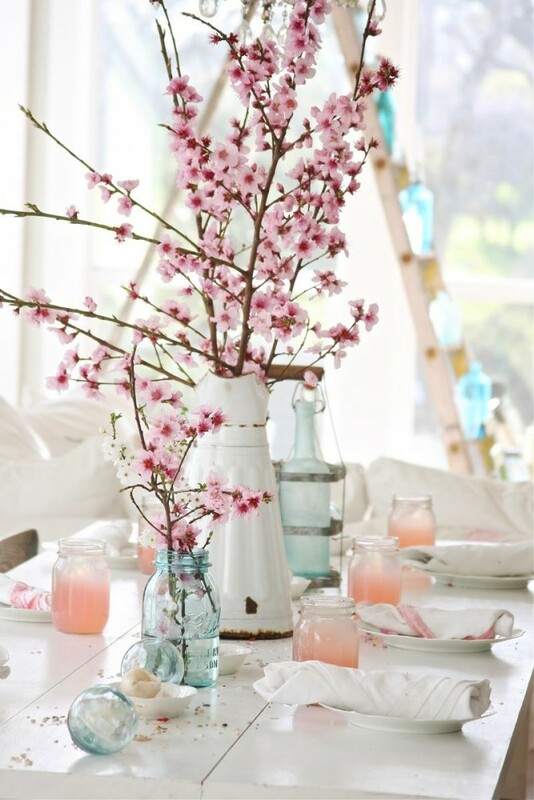 Blooming tree branches are a good alternative to cut flowers. And to cause no harm to trees, you may opt for plastic pieces. A framed optimistic saying written on wood will cheer you up every day. 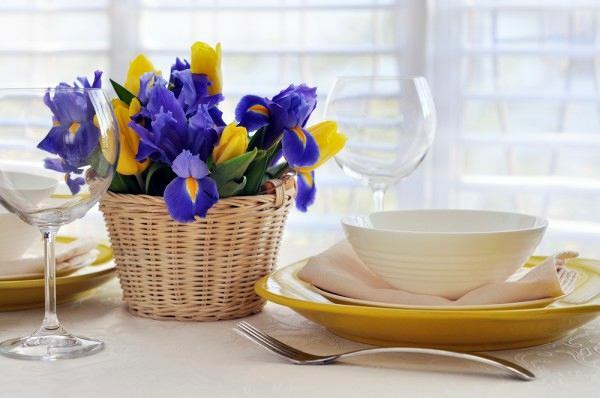 And don’t forget about the spring table setting. 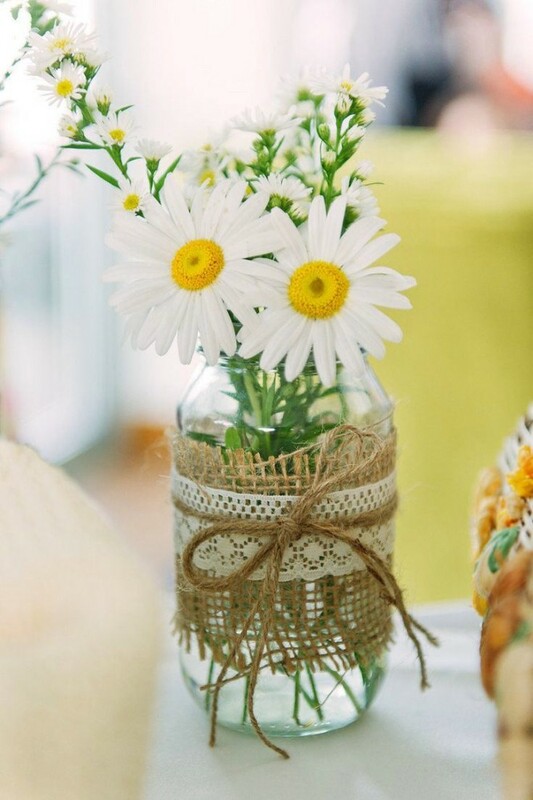 A small bouquet of flowers is a must-have! A delicate flower wrapped in a napkin can turn a prosaic meal into a midday fiesta!